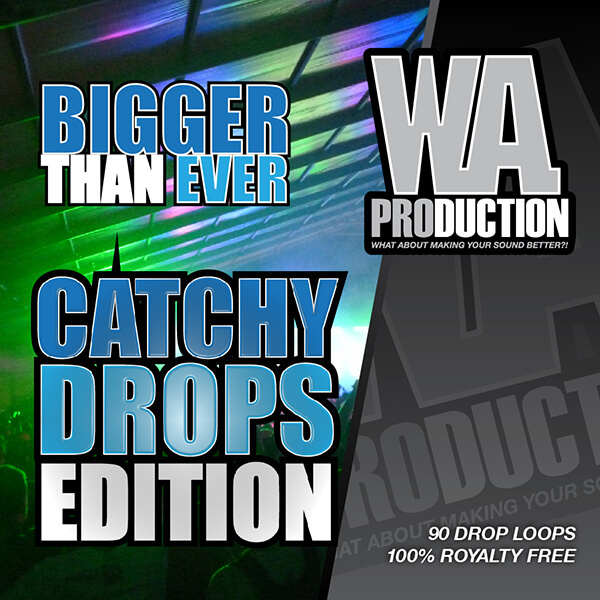 ‘Bigger Than Ever: Catchy Drops Edition’ is the next part of WA Production’s well-known “Bigger Than Ever” series. This pack brings you 180 WAV samples and 90 MIDI files. Loops are divided into Melbourne, Vocal and EDM sections. This pack brings you the most powerful and bouncy drops, inspired by Deorro, Vinai, TJR, Showtek, Ummet, Firebeatz, and many others. The loops inside are crowded with energy and ready to be dragged and dropped right into your mix. Melbourne bounce sharp and bouncy basses are nowadays very famous as well as pitched and cut Melbourne vocal loops. This product provides you with the freshest and craziest loops, together with fat Big Room drops. All loops are available in dry/wet format. MIDIs are included. What about making your sound crazy?